An elegant curtain header style with a tailored appearance. Choose either a double or triple pinch pleat, depending on your style. Pinch pleat curtains are a highly decorative heading, drawing together lots of fabric into a tightly gathered and stitched bunch at the top. Read our guide to curtains and blinds. Discover the benefits of these popular window dressings and decide what’s right for your home. Book an appointment. Treat your window to pinch pleat curtains and your whole room will enjoy a classically elegant finishing touch. The sewn pleats create a lovely, deep fold running the length of the fabric. The end result is smart and eye-catching – the definition of made-to-measure style. You can choose any fabric in the range. So take your pick from all sorts of colours, plus floral, geometric and striped prints. 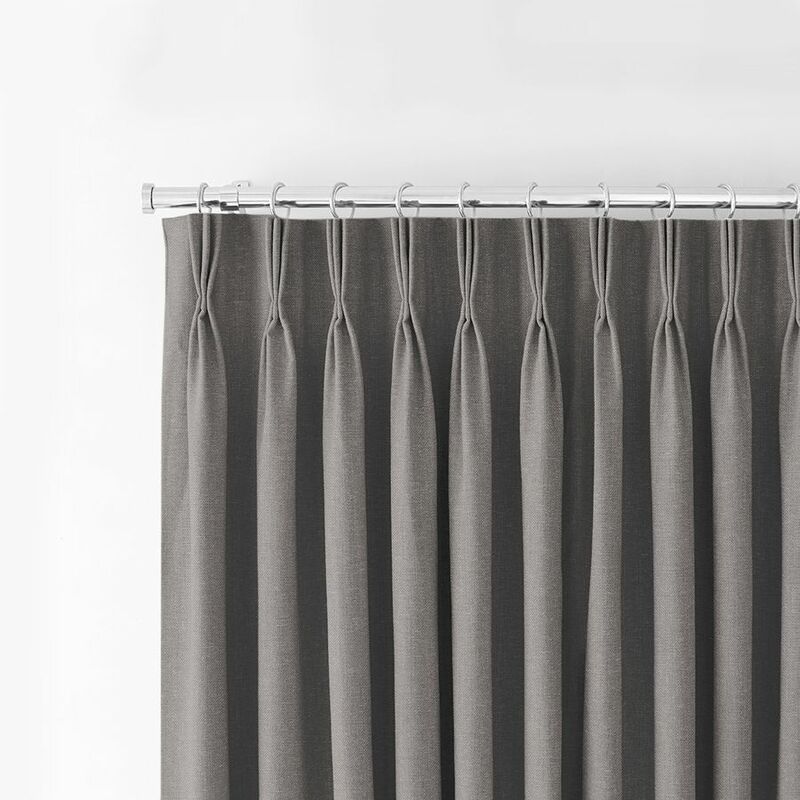 Of course, you’ll get all the help needed to find the perfect pinch pleat curtains during an in-home appointment. Book an in-home appointment with Hillarys and enjoy the most convenient – and best – way to buy pinch pleat curtains. 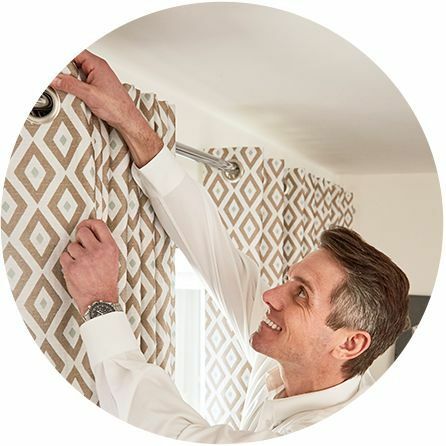 One of our curtains experts will come to your home, bringing samples of our whole range along. You can browse the many different styles and see how the colours and patterns look in your home. And enjoy the advice and knowhow of your curtains expert, who’ll offer style tips and make sure you get exactly what you’re looking for. What’s more, your expert will measure up too, taking away all the hassle of choosing pinch pleat curtains. Every detail of your new pinch pleat curtains – from measuring to making to fitting – is taken care of by us. You can even accessorise your choice, choosing from a range of poles, tie backs and more till you get the look you want. It’s what made-to-measure is all about.